Every day is different for Megan in her role as Merchant & Gould's recruiting manager. She works on a variety of recruitment and human resources tasks, including coordinating and conducting interviews, administering the performance review process, facilitating benefits enrollment, and conducting new hire orientations. Megan joined Merchant & Gould in 1999 as an accounts payable specialist, transferring to the human resources department in 2001 and rising through the ranks of recruiting assistant, Human Resource Information System specialist, HR generalist and currently as the recruiting manager (since 2008). She earned a master's degree in human resources and industrial relations in 2004. 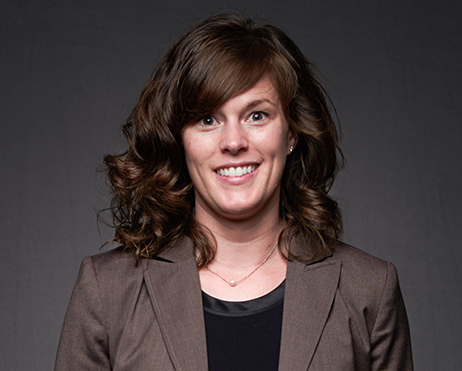 Megan is based in Merchant & Gould's Minneapolis office, but she works with employees in all of the firm's offices in recruiting and human resources matters. In her off hours, Megan enjoys reading, running, and spending time with her family.